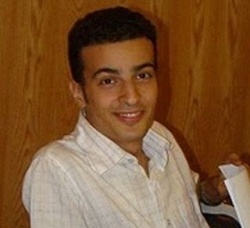 The appeal in the case of Maikel Nabil Sanad, the Egyptian blogger who has been on hunger strike since August 23, was postponed for a week yesterday — allegedly because the case file never reached the judge. It’s tempting to call Egyptian justice Kafkaesque; but Kafka, after all, had a sense of humor. Upon hearing the news, the small crowd of protesters outside the courthouse began chanting slogans against the SCAF and its leaders, Field-Marshal Hussein Tantawi and Chief of Staff Sami Anan. During the demonstration, in which activists held banners aloft calling for freedom of expression, soldiers arrested Sahar Maher, an active member of the “Free Maikel Nabil” campaign, for taking photos and video of the protest on her mobile phone. A foreign journalist, who was also taking videos, was arrested along with Maher. Authorities also confiscated a video camera belonging to a reporter with Iran’s Press TV and forced a journalist from the US-based Christian Science Monitor to delete all her photos. Maher is expected to stand before a military court on Tuesday on charges of photographing military installations without official permission. This entry was posted in Human Rights, Uncategorized and tagged bloggers, Egypt, freedom of speech, Maikel Nabil, SCAF by scottlong1980. Bookmark the permalink.